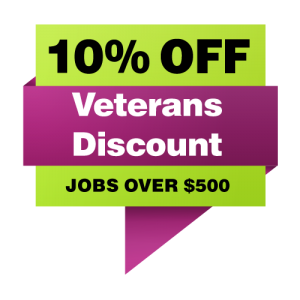 If you are in need of electrical assistance for a horse arena or a barn in the Oregon City, Clackamas or Portland, OR area, look no further, as Simply Shocking has the experience necessary to conduct horse arena lighting, horse barn lighting and horse arena electrical upgrade services. With over a decade of experience working around horses and barn animals, we know how to respect your animals and ensure they are not frightened or startled by the electrical work we perform. Managing barn electrical work requires a balance between professionalism and common sense as well as a natural comfort with horses and other barn animals. Simply Shocking has the sensitivity to work closely with animals without disturbing them or interfering with the day to day operations of your barn or horse arena. 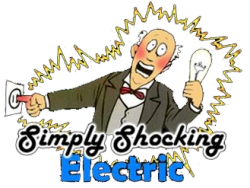 Whatever your horse arena and barn electrical service needs, Simply Shocking has got you covered. Below is a brief overview of the horse arena and barn electrical services we provide. Horse Arena Lighting: The Master Electricians with Simply Shocking have the proficiency to conduct horse arena lighting both indoors and outdoors. Proper lighting in your horse arena is necessary for optimal riding conditions year round and to increase riding times within your arena as well. Horse Barn Lighting: Let Simply Shocking outfit your horse barn with high efficiency lighting guaranteed to last up to 13 times longer than a standard incandescent bulb. Some of the high efficiency horse barn lighting products we offer are not sold in stores and can only be installed by a professional Master Electrician. Don’t settle for mediocre horse barn lighting and call Simply Shocking now! Horse Arena Electrical Upgrades: If your horse arena barn electrical system needs upgrades, Simply Shocking can happily provide you with assistance in making your horse barn a well-lit and comfortable space for your horses. Proper horse barn lighting will not only increase the comfort level of your barn animals, it will also make cleaning and other maintenance needs easier to take care of on a daily basis.